You guys, I'm pretty excited today. I feel like I've quietly made something happen, and this post marks it. You see, I'm very proud of my little blog, but sometimes when I post here, I feel like a tiny mouse yelling out in a huge hall. I might be saying something good, but who can hear? I've wanted to explore writing about Persian food more, and with cookbook dreams having lately re-emerged from deep hibernation (!! ), I knew I need to establish expertise, and to find people who cared about it. After my Thrillist post in July on LA's best Persian food, I started noticing that out in the world, there exists a network of Persian food bloggers. They're out there. I decided I wanted to be part of this world, but how could I do it with the little mouse voice? Over the last few months, I made a couple one-on-one inroads: I started commenting back and forth with a grad student in Minneapolis named Sara with a blog called Sabzi (she'd found me through Bon Appétempt, bless her heart), and I had a few tentative Twitter interactions with Azita of Fig and Quince, an artist in Brooklyn whose comprehensive and sweetly rendered Norouz posts had caught my eye back in March. Mouse voice rising. So you can imagine my delight when recently, I was brought into a Persian Food Bloggers' group. To learn that there are women and men (well, one man) all over the world who like me, coo over their mothers' old-school cooking practices, get teary-eyed over a whiff of onions sizzling away with saffron, or squeeze in time in an incredibly hectic schedule for preparing elaborate rice dishes just because -- well, these are pretty exciting revelations. And for these nostalgic diaspora cooks, some of whom even listen to Jason Bentley while they're at it, to bring me into their fold feels pretty awesome. I decided I wanted something, wasn't sure how to get it, I kept at it, and it found me. So, I'm beyond proud that today, I'm taking part in a very special event organized by this group: The First International Mehregan Cyber-feast. Mehregan is an ancient Persian festival that marks the fall harvest and honors friendship, affection, and love. Admittedly, my family never celebrated it, so I don't know what exactly what it involves. 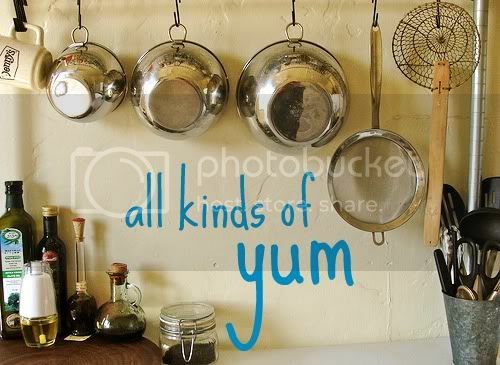 Here at All Kinds of Yum, though, we're big fans of friendship, affection, and love. And I will always take an opportunity to feast on Persian food (or even just digitally pretend to). Today, nearly 30 Persian food bloggers all over the world are posting dishes marking this festive day (and I've linked to all of them below!). They even have a hashtag. See, here it is: #mehregan2014. They're very organized, these Persian food bloggers. For my contribution to this lavish cyber-banquet, I'm riffing off a particularly opulent Persian dish called jeweled rice ("morassa polo"), stealing some of its flavors for a carrot salad. Pomegranate adds its translucent charm, each seed seeming to be glowing from within. 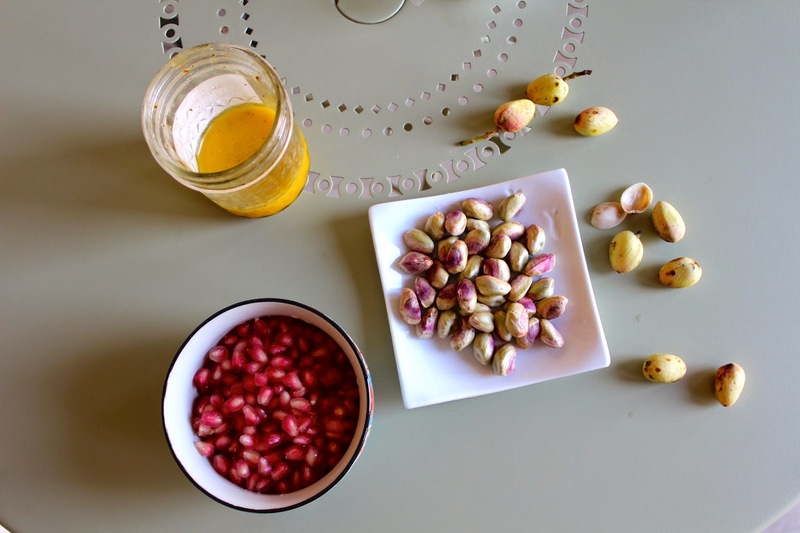 I was lucky to get my hands on some fresh pistachios, picked right from the tree on a farm in Bakersfield, and added those as well as roasted pistachios and threads of orange zest. The salad's dressing features orange juice, saffron, and honey, making it lightly sweet and super fragrant. Overall, the dish feels like fall in Los Angeles: vaguely autumnal, but mostly just bright and sunny. So, happy Mehregan to you all, and here's to friendship, affection, and love. This little mouse is roaring with pride, and also very, very hungry. Prepare vinaigrette: In a bowl, whisk together orange juice, orange zest (if grated), honey, oils, saffron, salt, and pepper. Set aside. You'll end up with more than you need, but you can keep it refrigerated and use it for other salads. Bring a pot of salted water to a boil. Add carrots and cook until they are just barely tender, about 2 minutes. Drain carrots and allow them to cool. 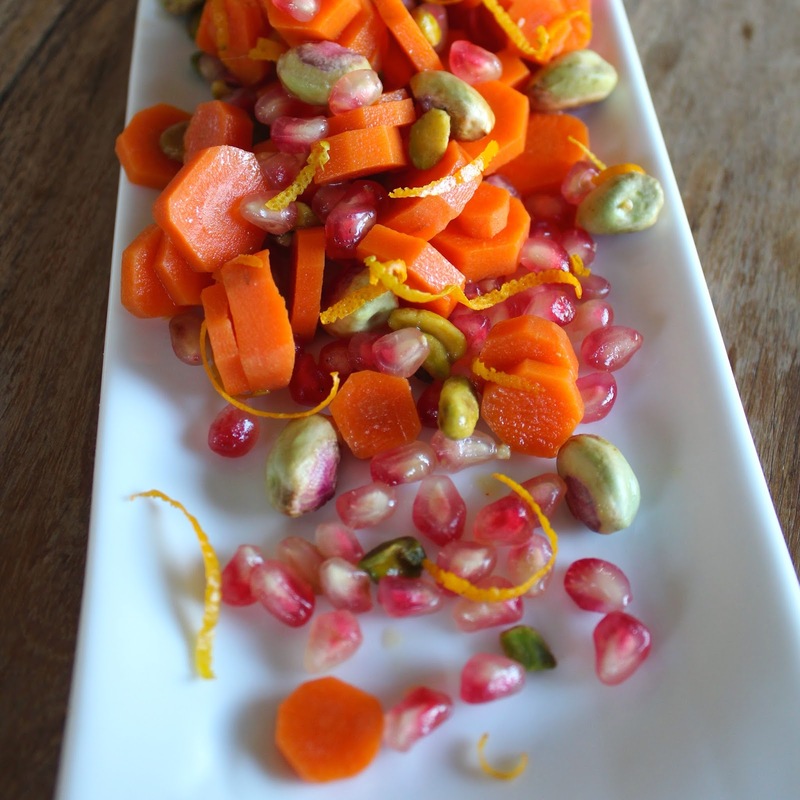 Combine carrots, orange zest, pomegranate seeds, pistachios, and about half of vinaigrette in a bowl. Adjust seasoning. - With a potato peeler, strip off thin pieces, avoiding the bitter white pith, then cut them into tiny strips with a sharp knife. Most labor-intensive, but no fancy gadgets necessary. - With a zester with 4-5 circular holes, create long skinny strips of zest. - With a microplane grater, create a fine mince of zest. With the first two ways, add the zest directly to the carrots. With the last, add it to the vinaigrette. A note on saffron: You can pulverize the strands in a mortar and pestle with a bit of sugar for added abrasion, or in a clean coffee grinder. Not worth it if you’re just using a bit, though: just put the strands directly into the honey, rubbing them first between your fingers a bit. Here are all the participants in the Mehregan Cyber-Feast. I get that empty hall feeling, too Tannaz. The color here is pretty incredible. Well done, lady! Love all the vibrant colors of your salad! We've been enjoy fresh pistachios, as well. And pomegranates - yay for fall! Those fresh pistachios are such a treat! I think I like them even more because their season is so short! Perfect! So happy you got to join this round up! Great description, photos and dish! thank you thank you! i'm excited to be a part of it! Yeah!! Thanks Sara! For your kind words, but especially for bringing me into the fold! Who would have thought I'd find a kindred curly-haired, food-loving, book-loving Persian sista all the way out in Minneapolis! These are beautiful images Tannaz and what a great way to capture both your tale as a blogger and an absolutely yummy, gorgeous looking dish! I swear I gasped when I saw that first pic. such sweet words! thank you thank you!! Tannaz, this is truly stunning and striking and appetizing and everything that is good and yummy all wrapped into one post. LOVE it! thank you my dear, i could say the same for you! Wow, this is gorgeous. Congrats to you on raising your voice in the food world, it's good to hear you! Thanks so much, Louisa -- such a sweet thing to say! Tannaz jan - what a beautiful salad and story. You are a moosh only in the sense that they are adorable and cute! Collectively, none of us has mouse-voice. From one Jason Bentley fan to another I am so glad you found us and we found you. This salad is beautiful and so is your voice! Thanks so much for sharing Tannaz! so sweet, Naz jan. thank you!! 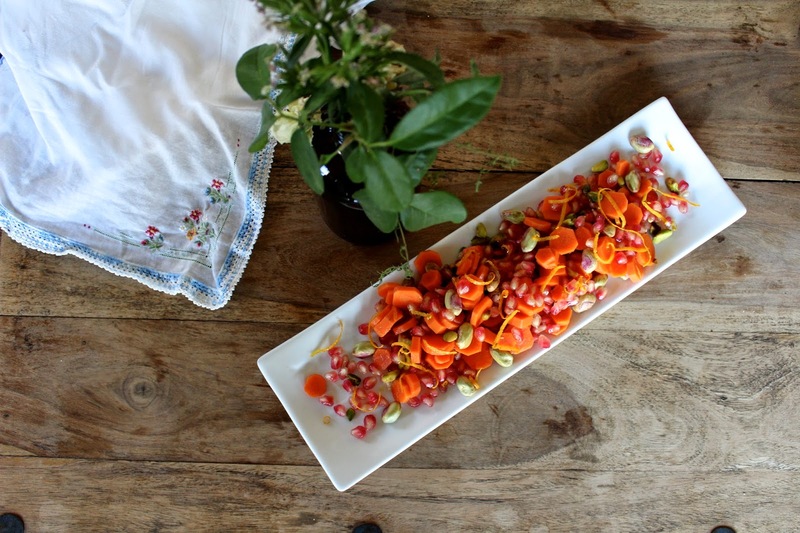 Tannaz, this salad looks incredibly refreshing and delicious! YUM!!! Tannaz joon, you have such a lovely blog here. I love this post and I love those pistachios. Lucky girl! I miss those fresh California ingredients. come visit! pistachios for days! thank you aniseh jan! such sweet words! Came to your blog via spice spoon. What a lovely treat your blog is. that everyone is still so active. Thank you for a wonderful dish. Thanks so much, Vinita, I didn't know either! Spice Spoon is one of my new favorites -- such amazing photos! Hello Tannaz jan, What a delightfully bright colored salad. Healthy and perfectly named. merci fae joon! back at you!